Item # 293769 Stash Points: 2,199 (?) This is the number of points you get in The Zumiez Stash for purchasing this item. Stash points are redeemable for exclusive rewards only available to Zumiez Stash members. To redeem your points check out the rewards catalog on thestash.zumiez.com. 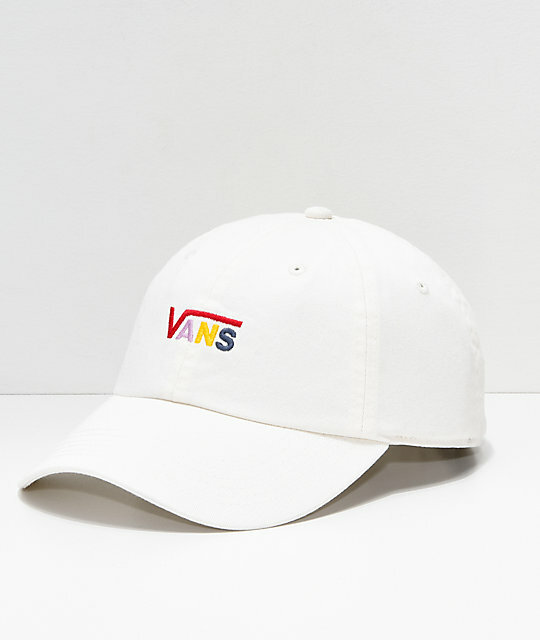 Vans brings you a new dad hat style with the Vans Courtside off-white strapback hat. 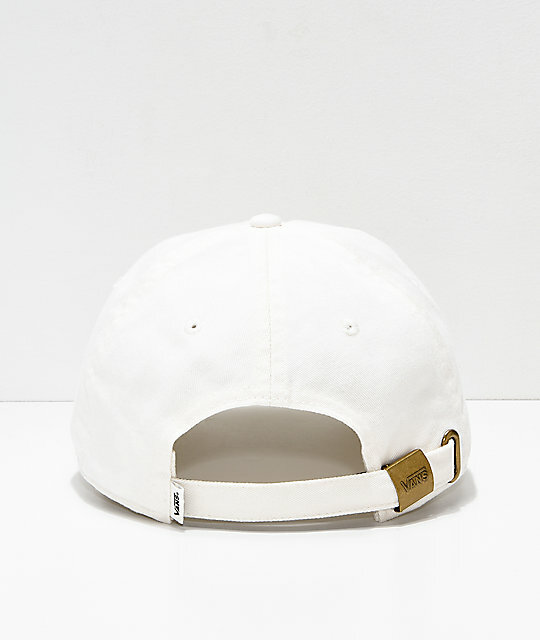 The Courtside hat features a cream crown and curved bill, unstructured design for a snug fit, a strapback sizing piece to help lock in the desired feel, and a rainbow colored "Vans" logo embroidered at the front of the crown. Courtside White & Rainbow Baseball Hat by Vans. Vans brand tag on the back. Women's specific sizing, one size fits most.